how about a competition ! I like the idea and had a hack at adding Richard’s logo to the ‘new….simple mojo app’ template, but it looked pretty washed out on the medium grey default window background. Looks great on black, but I’d like to still with ‘grey’ for the default. Ditto, the pink monkey above looks a bit rough on ‘charcoal blue’ or whatever color the forums now use! I think for starters a logo will need at least a border + solid background color, so it can be safely used on *any* background. Perhaps a slightly toned down version of the ‘monkey circle’ above? I’m still open to ideas regarding logos etc, but I do also like to give things a try for a while before discarding them. 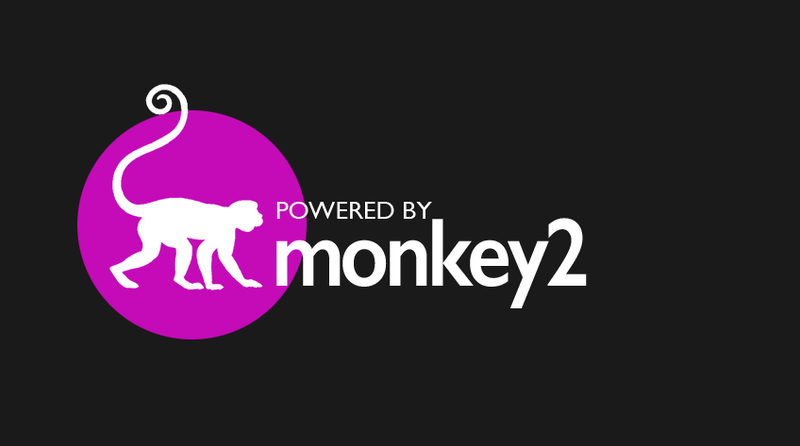 Do you have a (much) larger version of the monkey circle, I could have a crack at it if you like? 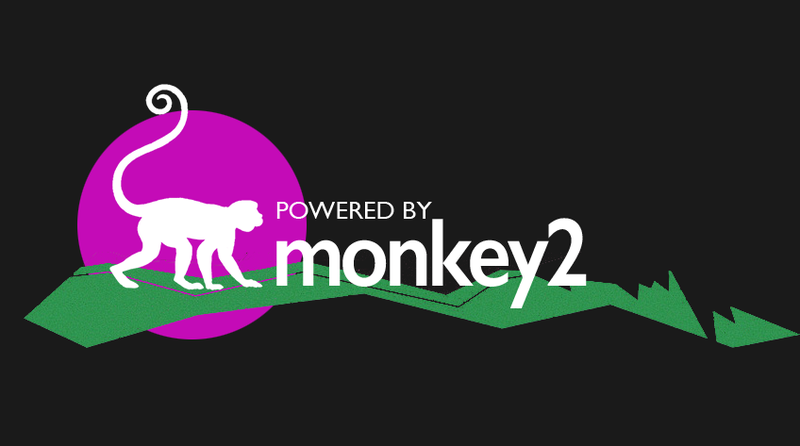 Actually, looks like there’s a monkey2logo.svg in src/launcher! Lets assume that the logo could be on any color background. So… Lets keep the logo white – which can be coloured as needed by using Color. Lets also assume that there should be a good minimum size for more small windows that will also scale well and look good on larger windows. So, the logo should be small than that but not too much and in white (only) for better detail. Next up we want to use a font that is good. So how about a classic gill sans? It solves the blur test (screw up your eyes and defocus). can you still make out the logo and main words? Well, I choose some colors just to show a possible result: my idea was about the two-tail monkey and the gear (=building/production something?) – and of course they are just prototype to get ideas! You could use gear+monkey silhouette in plain black on any background. 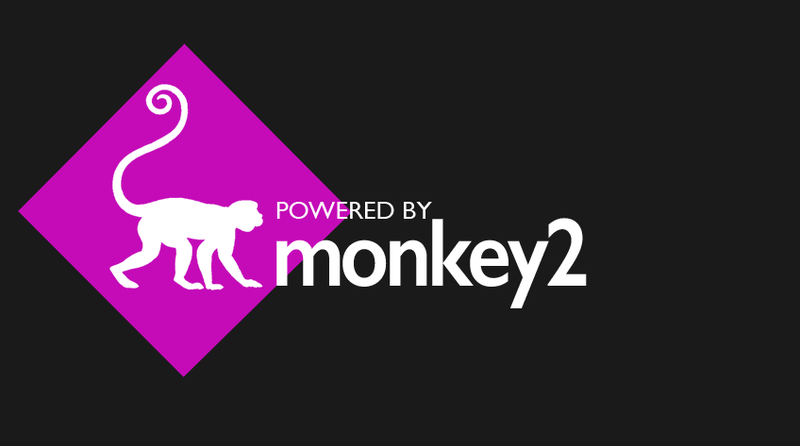 And moreover I noticed that the plug-in logo are… nothing related to Monkey2 (and I think it should as they are they only paid-thing for Monkey2 at the moment). I like degacs’s idea with the two tail monkey and the two gears. I don’t know about that symbol on the second gear. I don’t know what it represent. Maybe it should have a phrase like “Multi-platform” or something that represent Multiplatform. I don’t know about it being just white either. It should have a fixed set of colors, Just like every other company logo. Just my 2 cents. Two gears close to represent the idea of plug-in, but repeat, just an idea. 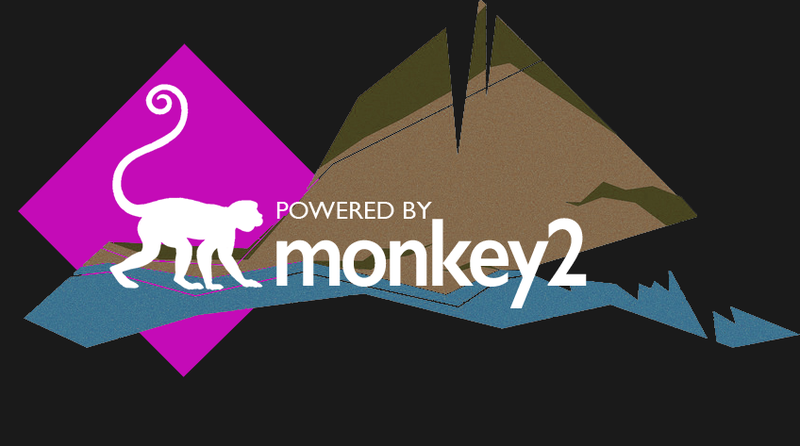 Simply because the logo in itch.io has no reference at all to Monkey2, so potentially none could understand (except from the name) that it is for Monkey2 language. Of course we *should* mention the fact that there’s no direct link in the website to these modules: IAP and ADmobile…. maybe adding a STORE page with the link to Itch.io could be a simple solution (I think it tooks 10 minutes for Mark to add a new page and post on it the links). Just my personal consideration, but I think – today – any language/dev tool is (in general) build/created to be multiplatform, from the desktop (win and MacOS) to the mobile (iOS, Android, HTML): so mentioning it in the logo seems (nowadays) useless.